It’s August, and the wild berries are ripening here in Northern California. Blackberries are the most abundant wild fruit here, and even though they are an invasive, non-native species, they sure offer a nice late summer treat. One of my favorite berry recipes, whether made with wild or domesticated berries, is berry crisp. Add the other half of the crisp on top of the berries. Cook for 40 minutes at 350 degrees. If it starts to crisp too early, you can cover it in the oven. If you would like a moister crisp, pour 1/2 cup of orange juice over the assembled crisp before baking. This recipe is adapted from one by Mollie Katzen. Yummy recipes! My family are not vegetarians, but we are trying to eat more meatless meals. Thanks! Looks juicy to me. I hope they taste as good as they look. What’s the scientific name for it? I’ve been searching around in the net for this information but with no luck. 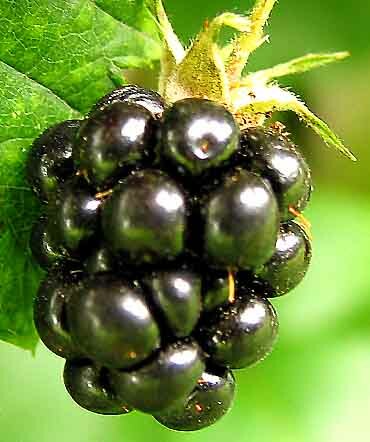 The kind of blackberries we have are Himalayan blackberries (Rubus armeniacus).